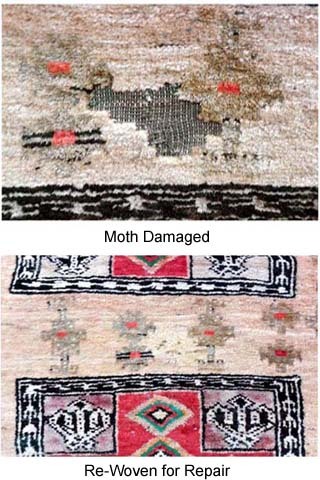 you may be surprised by our expert repair men! 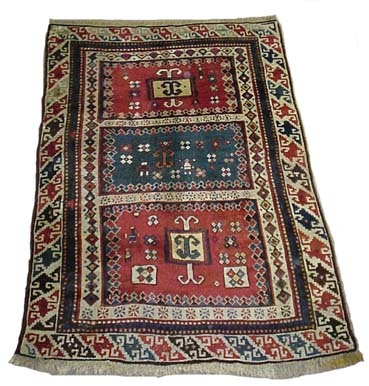 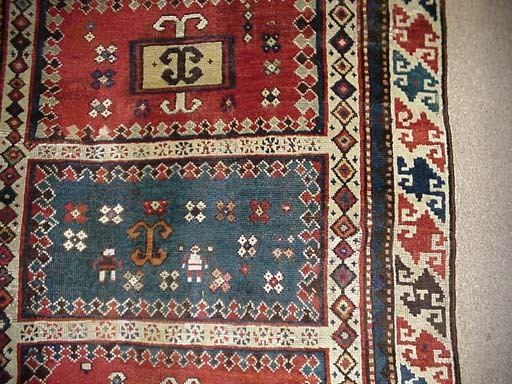 New, Old, Antique, Contemporary, Tribal, Persian, Oriental Rugs, Kilims, Navajo Weavings, Loop-rugs, Braided-rugs, Needle-points, Tapestries of Exceptional Quality by Experienced Craftsmen. 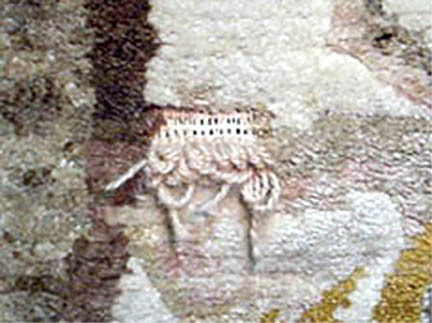 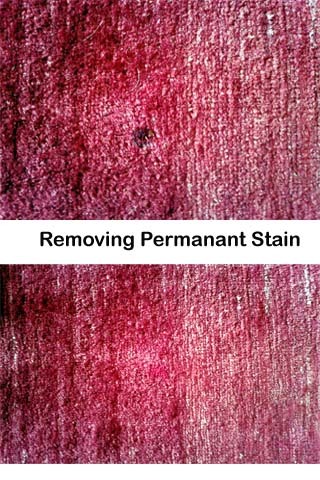 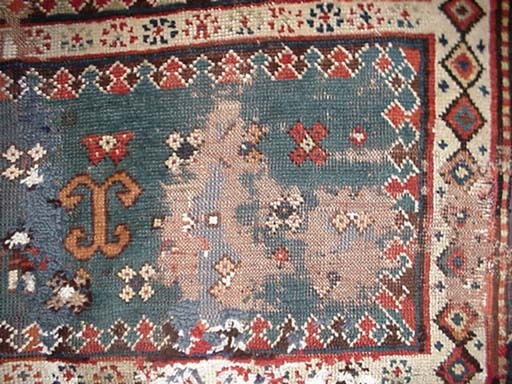 Repairing is a complex process requiring experienced craftsmen and depending on the value of your rug, there are a number of procedures that we can employ to repair or restore your rug. 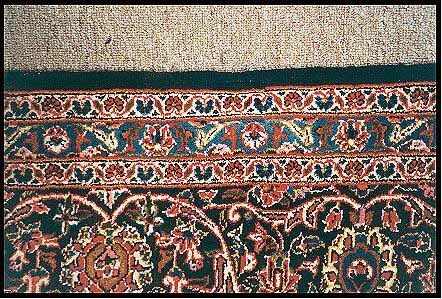 First, we will expertly assess the true value of your rug, regardless of the condition, so that you spend the proper amount to repair it based on its quality, condition and value. 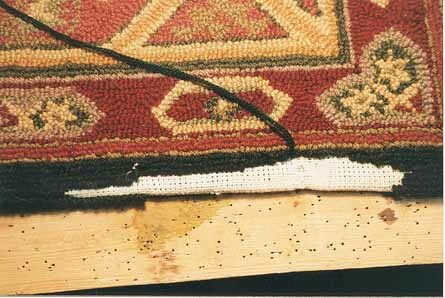 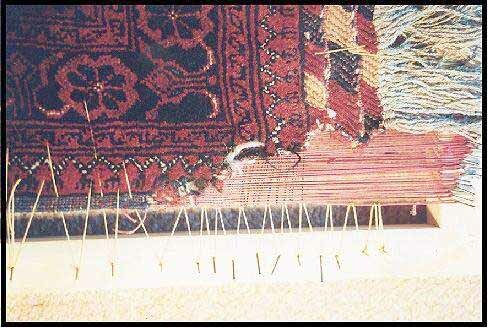 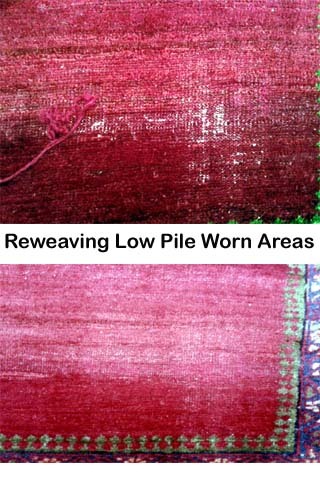 These repairs will be invisible when the rug is on the floor in your home. 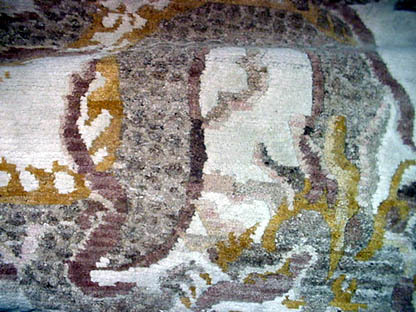 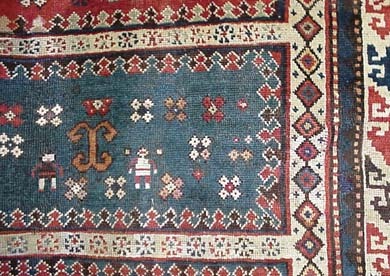 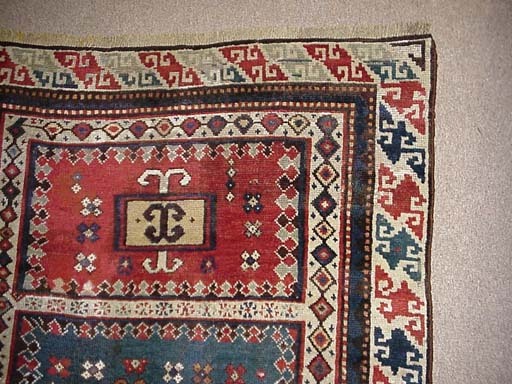 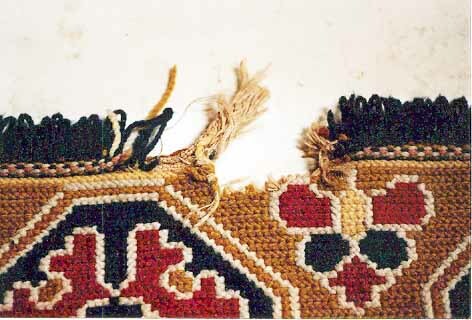 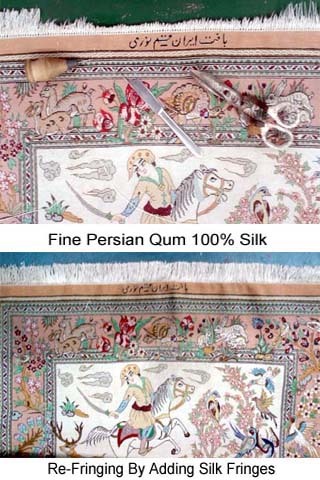 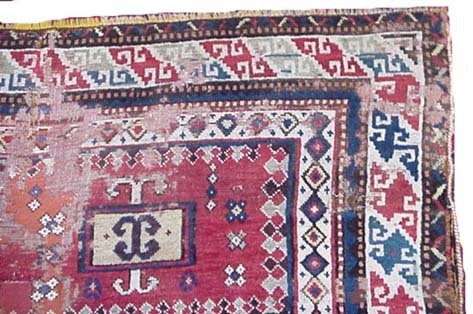 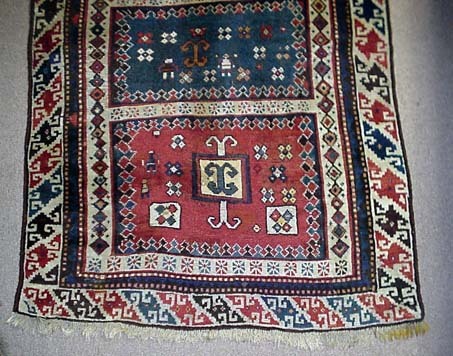 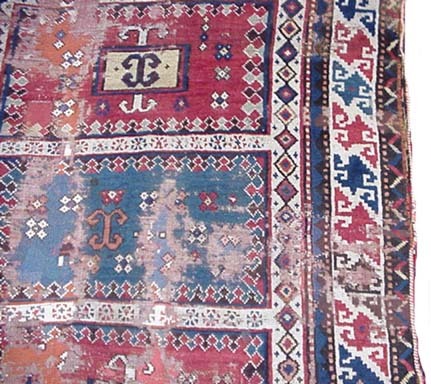 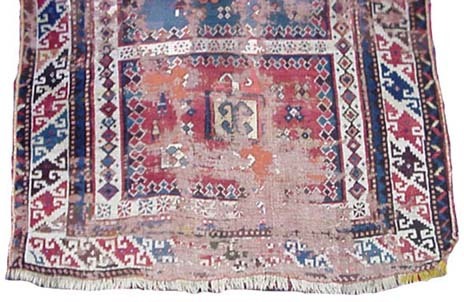 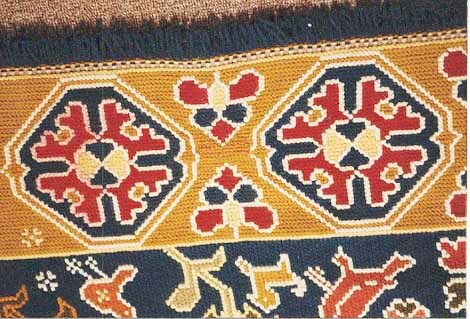 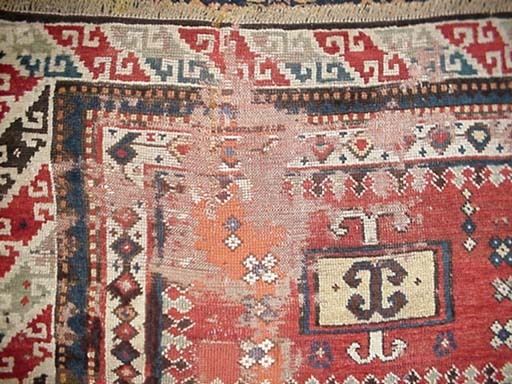 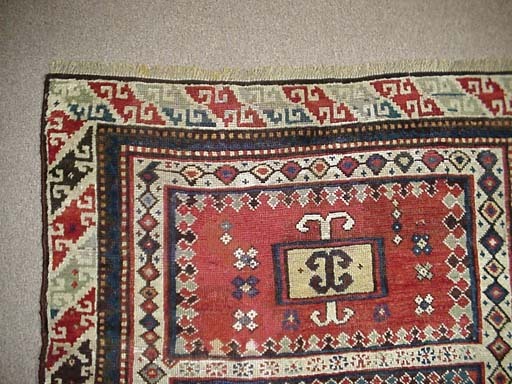 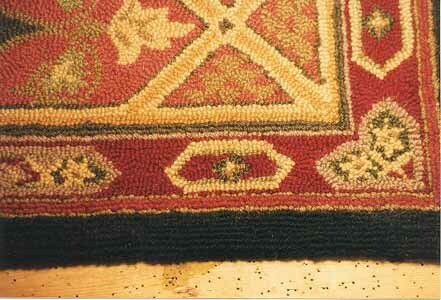 A Major Restoration on An Antique Kazak Russian Rug. 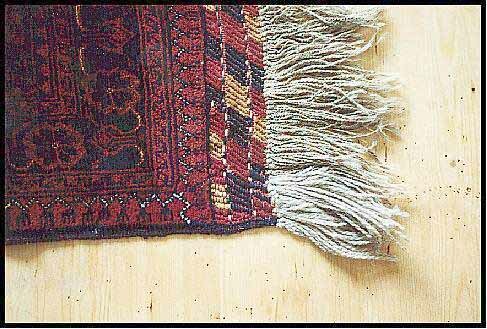 We carry thousands of yarns in stock, gathered from around the world, to perfectly match the color and texture of your rug - over 100 different shades and textures of red alone! 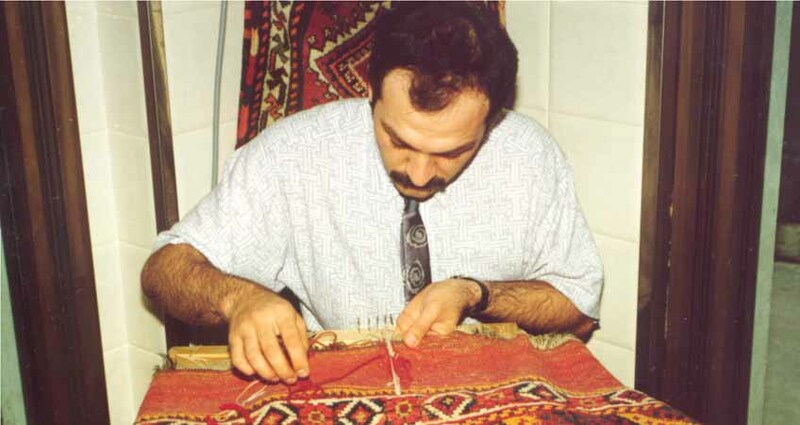 Reweaving a Cut in the center of an old Chinese rug. 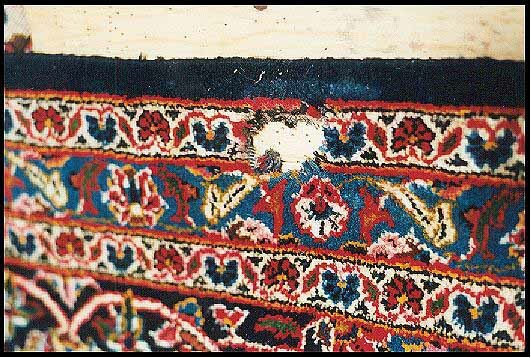 The large hole in this antique Persian Kashan Rug has been invisibly rewoven for a museum. 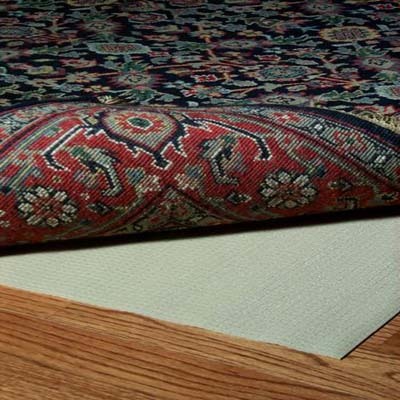 High quality rug pads are available at discount prices for all types of floors, from sizes 2 feet x 4 feet through 12 feet x 65 feet. 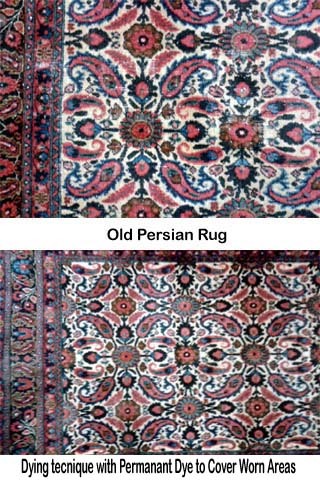 We carry a large selection of rug pads. 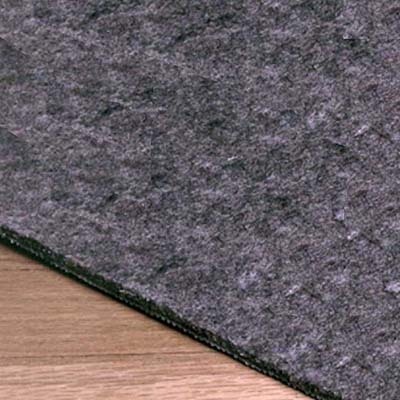 Choose from rug to hard floor, rug to carpet, vinyl mesh, jute or dual material pads.